You’re out running errands and you remember your friend suggested a great new bakery somewhere in town, but you can’t remember the name. So you grab your smartphone and you Google – “Bakery in My Town, CT”. Several listings pop-up. The top two have 4+ reviews and the last three have so-so reviews. Guess which store you are likey to pick first? Yup –one of the 2 with great reviews- and it may not be the bakery your friend recommended. Now, if you were both on Google + you could see which bakery your friend recommends, but more on that in a bit. Competition for your services/products/expertise is at an all-time high thanks in part to online shopping, and in part to the sheer volume of businesses vying for your attention. We (as business owners) need to scream above the noise “MY BUSINESS IS THE BEST – COME TO ME”!!! Chances are people will choose (or not choose) a business based on “stars”, “reviews” or “testimonials”, right? Welcome to the land of local search directories…better known as you can’t play if you don’t get in the game. It’s important for businesses to get themselves listed on all major search engine directories as well as the local search directories and review sites, when applicable, both for searchability and rankings, but also for reputation management. These sites are data banks and could easily be housing either incorrect info, or worse, not so nice reviews of someone’s last visit to your pizza place. You need to control your presence as much as possible. Mistakenly, small business owners assume that by having a website and social media profiles that their business will show up in local searches. Not true. There is some due diligence that has to happen in order to come up in listing searches and to come up correctly. Here’s a great sampling of some of the top online directories. Make sure that your business listing is Keyword Rich! What unique “keywords” best describe you and/or your business? Use those words over and over and over. It will be easier for the search “spiders” to find you. If you are not sure if your business is searchable go to get listed.org. Type in your business name and zip code and see if it comes up. If your business doesn’t show up, you can click a link that says, “I don’t see my business” and the site will recommend which directories you should register with. Individual online directories are crucial, but just as crucial is focusing on the head honcho of searching and online directories – let’s talk Google…..
Where do you do most of your searching? Do you have a Gmail account? Do you use Google Maps? Remember, Google loves all things Google. Google has designed (and redesigned) new ways of integrating all of their offerings with one goal in mind: That people will come to one place (Google) to find anything, From friends, to business, restaurants, maps, information – anything and everything. What is Google + and Why Do I Care? Wikipedia defines it as “a social networking and identity service owned and operated by Google Inc. It is the second-largest social networking site in the world, having surpassed Twitter in January 2013. It has approximately 359 million active users. As of May 2013, it had a total of 500 million registered users, of whom 235 million are active in a given month. “Google has described Google+ as a “social layer” that enhances many of its online properties, unlike conventional social networks generally accessed through a single website. NOTE*** Just in case you missed it “SECOND LARGEST SOCIAL NETWORKING SITE IN THE WORLD”, second only to Facebook. A free static business listing page that helps get your business found on Google. 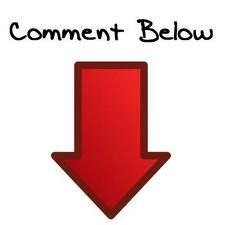 You are able to keep this page up-to-date with changing business information. Creating a “places” page gives you access to Google’s “AdWords” and “Offers” programs. Google “Places” is integrated with “Search” and “Maps”. Please note – Before a business is official on Places, there is an address verification process that is a pain and actually involves a postcard being sent to the business address with a unique pin#. A Google + business page is an entirely separate page (also free) which is very similar to a Facebook business page. This page is where you build your Google + profile, your “circles” and people following your business. You can post information (similar to Facebook) add photos, events, links, etc. Once you sign up for a Google + Business Page you can “verify” your website and link it with Google. Google will give you an HTML code to paste onto your website. Voila – Google now loves you, your business and your website even more……. What is Google + Local?? I’m going to try not to make your head spin off its’ axis. Google + Local was introduced in 2012. It still seems to be in the transition phase and is slowly integrating both Google Places and Google +Business pages together for businesses. Google + Local now expands the ability for a business to be found through a local search. By integrating with “Places”, Google + Local is connected to the “Search” and “Maps” and by integrating with your Business page you will get the perks of the “social network”. Got that? I know, I know…. Cool fact: Google also acquired Zagat in 2011. Every restaurant listing will automatically have a Zagat score associated with the directory listing. It’s on a numerical scale of 1-30. The end result? One complete business listing that will “Map” your location, have customer reviews, a Zagat score if applicable, capable of being added to Google+ users favorite places and all the social network benefits of an online giant. Are you wondering – “Where do I start”? First things first. It’s important to have a lesson in what a complete Business Directory listing should look like. Big Common Mistake: Being lazy when filling out your online profiles. This is free marketing, brother. Sister. Use this as an opportunity to really “sell” your business. Think of this as your business resume. Be complete and consistent when filling out your online profiles. Make sure you take the time to write a keyword rich short description, come up with a keyword rich tagline, use good quality photos, make sure your hours of operation and location are up-to-date, highlight any awards, certifications and accolades are showcased. Make sure you have a link to your website and if allowable, a link to your Facebook page and Twitter account. Can I hire a service to claim my local listings? Buyer beware: I know you are thinking “oh my Lord, aren’t there services I can hire to claim my listings on all these directory sites? Someone has got to be making a living out of this cumbersome task!” Here’s my take on that: yes, there are services- you can go look them up, I’m not listing them here, because quite frankly, I think you are doing yourself a disservice by using them. The chances of your listings coming out on top by hiring a service to claim for you are questionable at best. 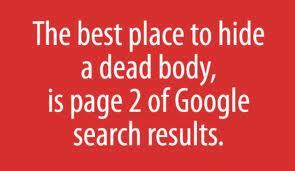 Most likely they will be buried by better optimized and paid listings. Follow this advice and claim your free listings online in as many places as you can. And then it’s done. Over. Finis. What happens if I work from home? Is it still important for me to list my business? Yes – Remember these online directories are quickly replacing the Big Yellow book. No one really uses the actual Yellow Pages anymore. Online searching is the first place people go to when they need a product or service. What if I work from home, but I don’t want to put in my home address as my business location? There are ways to overcome that, but chances are you may have to use your physical address for your online directory. For example: If you are creating your Google + Business account you can use this trick for a home based office. Click Here: They’ve thought of everything, those Google people. How many of these directories should I enter my information on? As many as you can stand to do and then 4 more. It would also be beneficial to go through the arduous steps with Google. Remember – Google loves Google. Once I’m listed in these directories how can I get customers to write reviews? Time to be creative. Chances are customers will respond to a “take away” or something that will benefit them if they take the time to write a review. Citations are another name for your listings, the ones you have claimed, not the ones the databanks have on you. Important distinction. Make sure your NAP (name, address, phone) is listed correctly and your business claimed. There, now I’ve repeated myself 4 times. Just do it. “Get Found. Get Heard. Get Crackin’”. And, as always if your eyes are now buried back deep in your head and you need some help – you know where to find me.